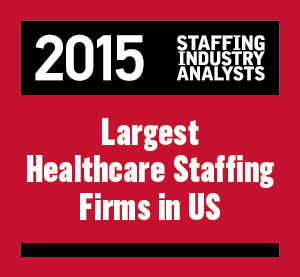 (Chicago) Friday, August 7, 2015– Medix, a national organization specialized in workforce solutions and recruiting skilled personnel for clients in Healthcare, Scientific and Information Technology industries, was ranked in Staffing Industry Analysts’ (SIA) list of “2015 Largest Healthcare Staffing Firms in the United States” in conjunction with SIA’s July report of the largest staffing firms in the U.S. This entry was posted in Medix Newsroom and tagged largest healthcare staffing company, staffing industry. Bookmark the permalink.